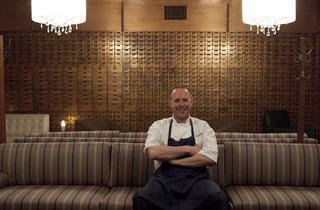 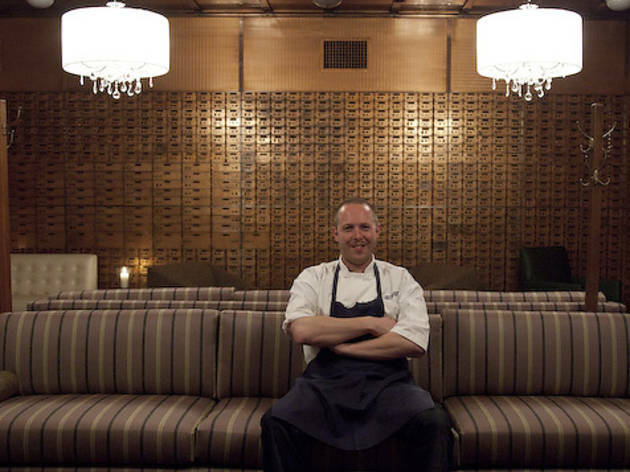 Chef Mark Steuer brings Midwestern comfort to a former bank. 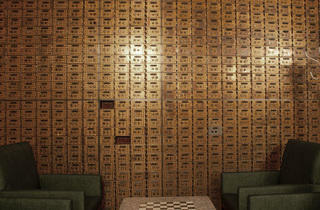 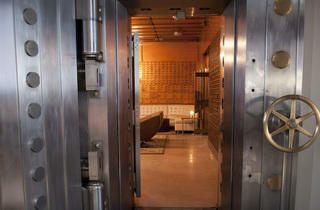 Photograph: Jeremy BolenThe Bedford is located in a former bank vault. 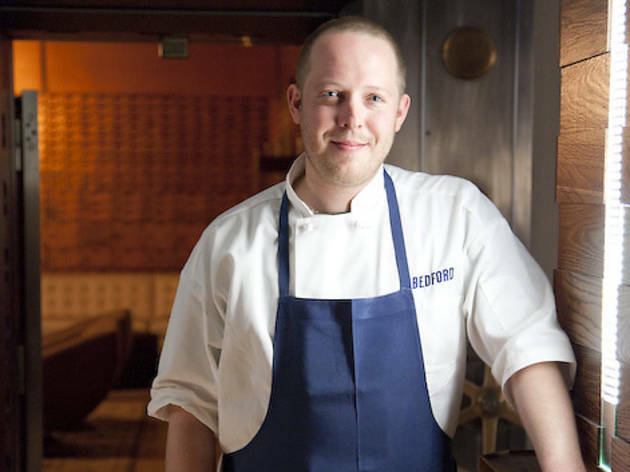 Mark Steuer—former savory chef at HotChocolate, as well as a onetime cook at the Gage—takes on his first restaurant this week when he and his partners open the Bedford, a gastropubby joint in the lower level of the former MB Bank building in Wicker Park. 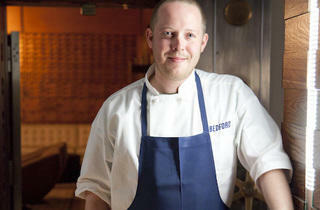 Steuer is terming the food on his menu “reinterpreted Midwestern” cuisine, which translates to hearty (and vaguely German) plates like pork-and-veal meatballs with mustard spaetzle and a sauerkraut cream; a “Midwest po’ boy” featuring fried whiting and housemade pickles; and pan-roasted walleye cheeks with bacon, fava beans and spring garlic. 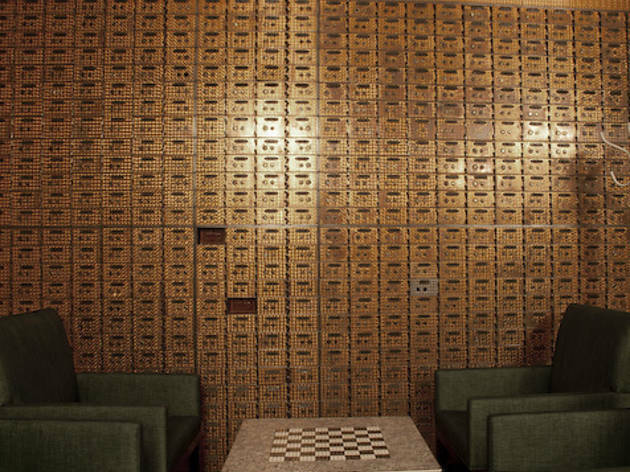 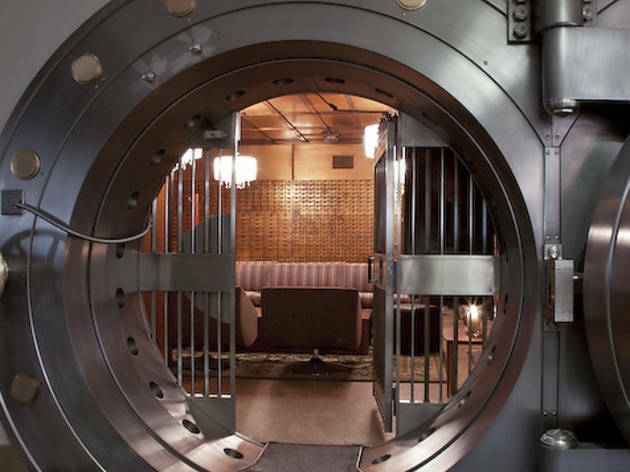 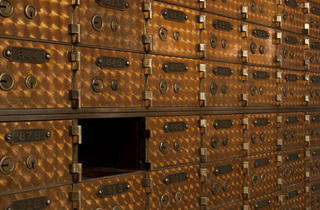 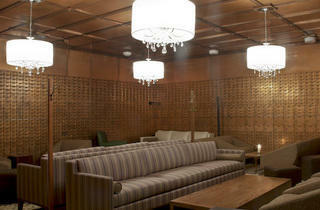 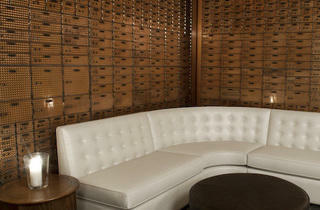 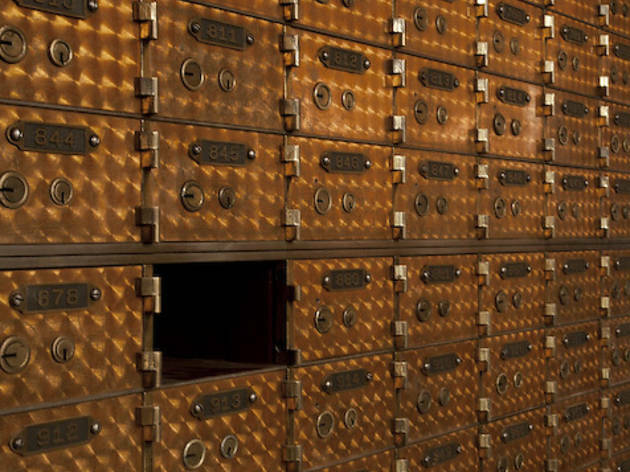 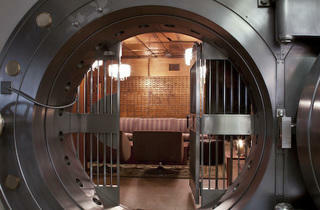 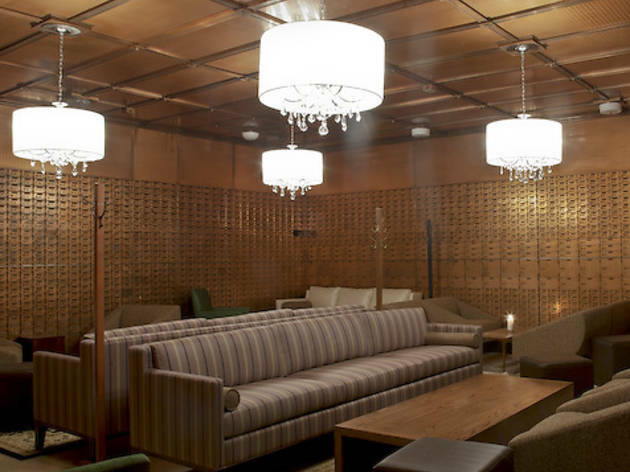 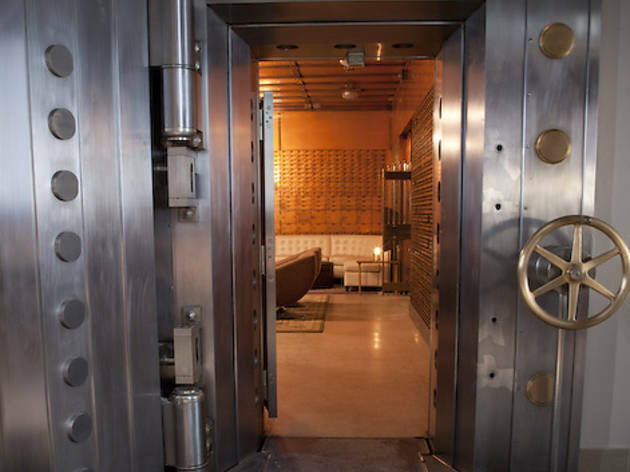 Set in the historic space, in which many of the bank’s elements have been preserved (such as the bank vault, pictured, which will serve as a lounge), the restaurant seems intent on trafficking in old-school Chicago. 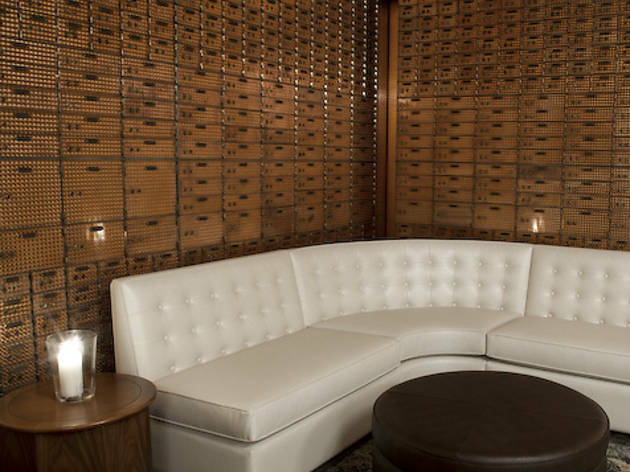 Old-school, but not tired: Steuer is quick to point out that “the drinks, the beer, the food—it’s all elevated.” 1612 W Division St (773-235-8800).